Corn Free Vitamin C IP Certified NON GMO by SGS (Switzerland). No Sugar, Salt, Gluten. Filler Free. 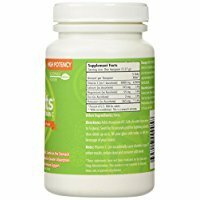 The Most Effective Buffered Vitamin C Powder On The Market. 35 Year Track Record Of Proven Results. Non-Acidic & Stomach Friendly. Enhanced Absorption Provides Maximum Immune Support. Named “The Best Vitamin C” By Dr. Andrew Weil In Two Of His NY Times Best-Selling Books. Details: It’s no secret: Vitamin C is essential to great health. In fact, experts have said “Higher blood levels of vitamin C may be the ideal nutrition marker for overall health.” – WebMD. But most of us don’t have the time, appetite – or desire – to eat all the fruits and vegetables it would take to obtain the optimal amount of Vitamin C in our diets. That’s where C-Salts comes in. As easy as drinking a glass of juice, when you add C-Salts Vitamin C Powder to water, it transforms into a refreshing, highly absorbable vitamin C mineral water drink. 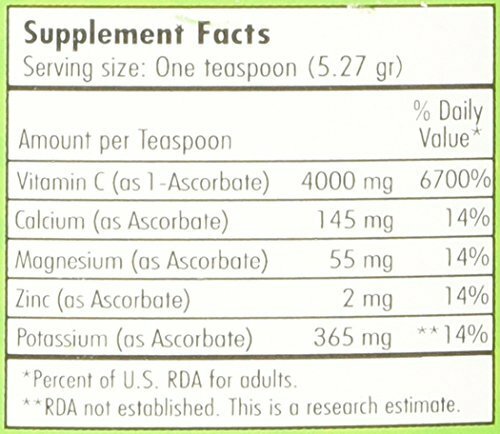 Developed over a decade of research, its unique formula helps the body maximize its vitamin C intake like no other vitamin C product available. C-Salts is better for you too. 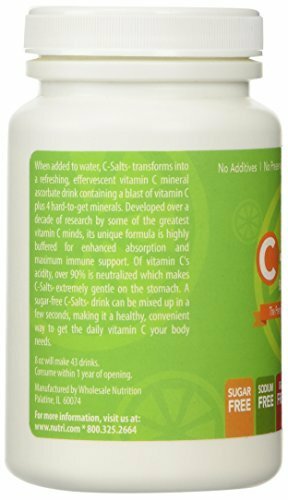 Unlike other brands that pack their vitamin C powder dose with up to 50% sugar, C-Salts is sugar-free and contains zero sodium. 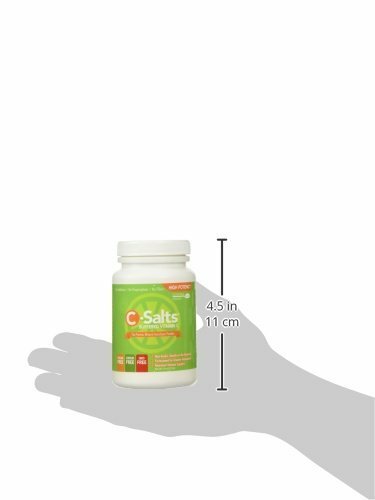 With no additives, preservatives, fillers or GMOs, C-Salts is a healthy, convenient way to get the vitamin C your body needs. But don’t just take our word for it, C-Salts is also doctor recommended. Dr. Andrew Weil – you may have seen him on the cover of Time Magazine or on the Oprah Winfrey Show – called C-Salts “The Best Vitamin C” in not one, but two of his New York Times best-selling books. 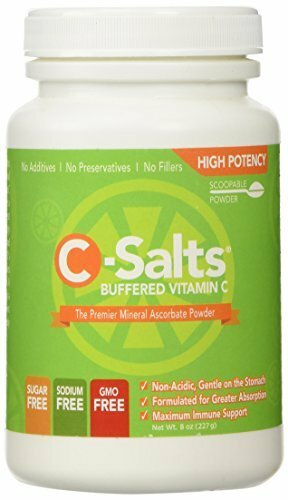 There is no better form of vitamin C than C-Salts. Try it today! 4000mg vitamin C/serving. Also contains calcium, magnesium, potassium, zinc. There are no other ingredients. One bottle makes 43 Drinks.